Everest Base Camp Trekking is for trekkers not tourists. I am just back from my 26th & 27th treks to Everest base camp. We had a group of 7 people climbing Island peak and they all made it. 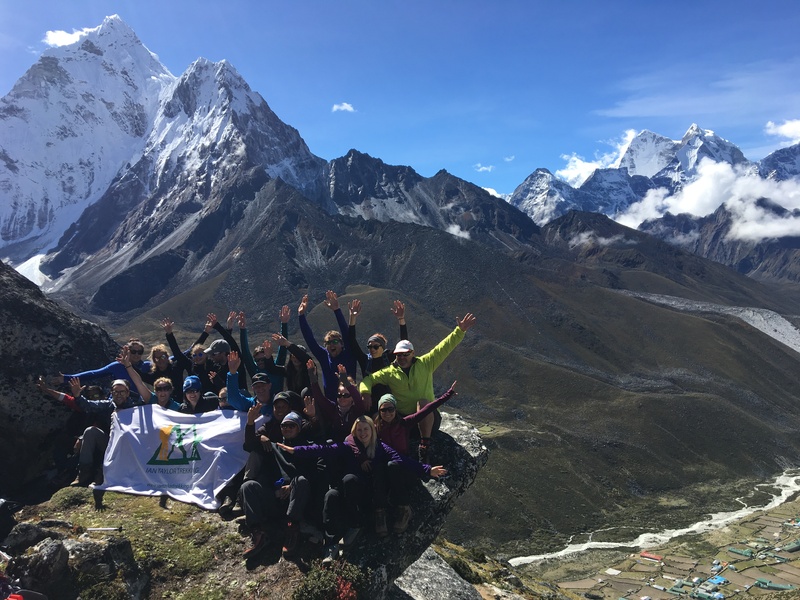 We had 37 trekkers on the 2 treks that I lead to Everest and 36 people made it. We have over 160 people trekking through the Everest region over this post monsoon season 2017. Read some reviews from our trips. By spending 3 nights in Namche Bazaar, this gives you a safer and more enjoyable experience going to high altitude. What I am seeing on the trail in recent times is down right stupidity. I witnessed people being brought up kala Phattar on horses, lots of people being brought up and down the trail on horses and record amounts of rescues. Shocking pacing, breathing techniques and more knee braces than ever before. People standing right in the middle of landslide areas because they had to take break after break. An accident waiting to happen. 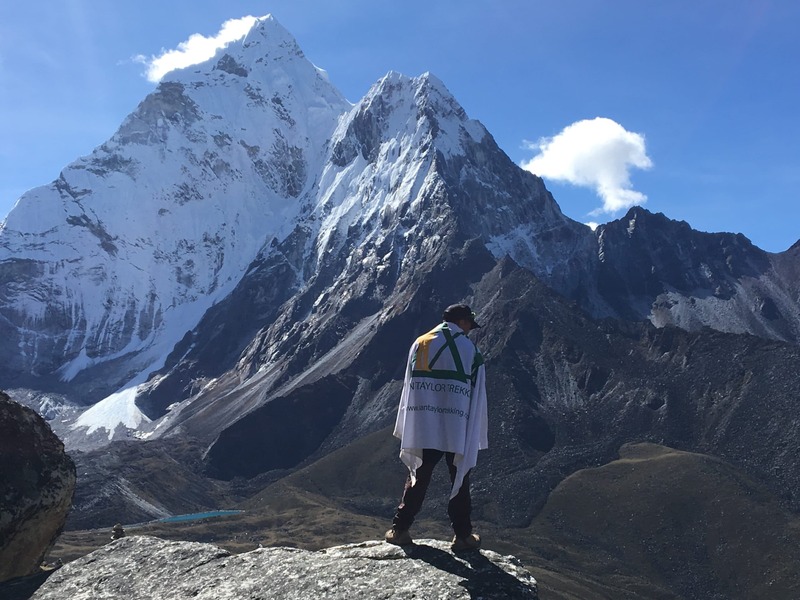 Poor acclimatization leading to altitude sickness. I am annoyed and shocked at the disrespect people are showing to this mountain region and high altitude. 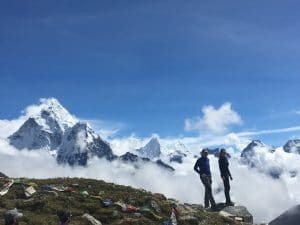 Over the past few years the Everest region is being miss managed by local agencies and locals racing people up the trails only to get them sick and helicopter them out of the mountains. I see so many people racing up the trails, some groups with 1 or 2 nights in Namche Bazaar and then pushing hard up the trail. Fatigue is a real issue that builds up over time. it is especially critical to limit fatigue as there is not enough oxygen to repair the damage. All the research is telling us SPEND MORE TIME AT 3,500m/ 11,500 feet on the way up and give yourself the best experience possible. Shocking physical preparation by many people. Everest Base Camp Trekking is for trekkers not tourists. So many people are coming totally under prepared for the trek. I see 50% of the people on the trail way under prepared on a wide range of fronts. I don’t expect this to change any time soon. If you are coming on one of our treks we expect that you come prepared so that you and your team can enjoy every moment of the day. 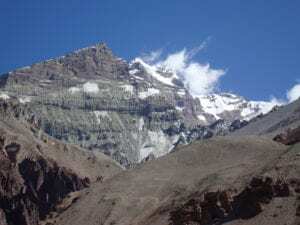 You are in the Everest region to enjoy, not endure the trek. 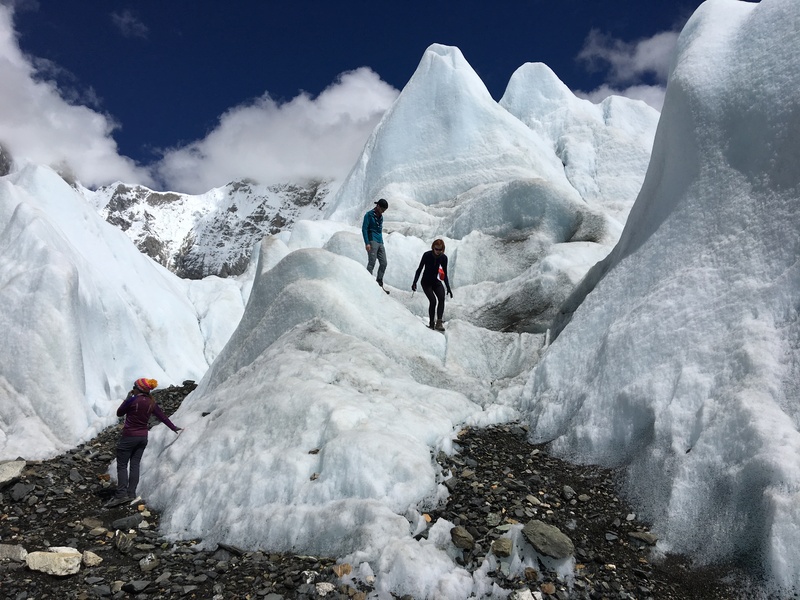 I have never seen so many untrained, sick people with all the wrong gear and clothing, back packs and physical preparation as I have seen this year on the Everest trail. 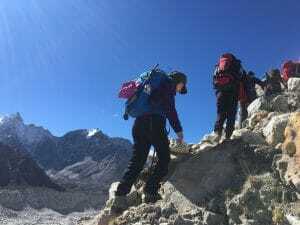 More acclimatization, better management of teams and people and far more respect needs to be given to these Himalayan trails. Poor gear choices which has a knock on effect. Wearing cotton clothing leads to poor temperature management, sickness, colds, flu, chest infections. This also leads to people coughing and spreading germs to other people. I continue to see groups spread out on the trails and people with terrible physical preparation. Going fast and then stopping continually is not the way to trek up and down mountains. With such range in temperatures you need to regulate your temperature so you do not pick up a cold and ruin your trip. Also regulate your heart rate, so you can move efficiently up and down the trail. Have the right clothing so the yaks and porters are not lugging up so much unneeded and extra gear. Come prepared and respect this mountain region. Everest Base Camp Trekking is for trekkers not tourists. I remember coming into this region when there were no showers, no western toilets, no helicopters. Now I see so many people planning helicopter rescues from Gorak Shep as their legs are sore and they don’t feel like walking back to Lukla. Listening to people talk about getting the Everest Base Camp picture so their friends can see and then flying out. Maybe this is the way it is going but seems wrong to me. We come for the experience, peace, reflection and energy the Sherpa people and mountains of this amazing region provide. The journey is far more rewarding than the destination. Don’t come on one of our treks ill prepared. To me, not coming prepared and trained, is disrespectful of our staff, our service and other people on the team. If people don’t come prepared for one of our trips, we will turn them around before they become a risk to our staff on the ground. Hundreds of people are showing up each season now with minimal training and understanding on what these high altitude treks entail. We want our trekkers coming fully prepared for the adventure. CONTACT US and get the best advice available and be prepared.